When Daisy draws a little mouse named Pipsqueak he comes to life and leads her on the most magical and creative adventure. 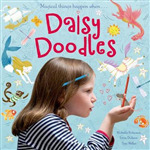 Celebrating the imagination and encouraging creative play, 'Daisy Doodles' will be a big hit with children who love drawing and making things. As a little boy says goodnight to his dressing-up clothes and toys he is transformed into a swashbuckling pirate. This title tells the story for every child who wishes they were a pirate. 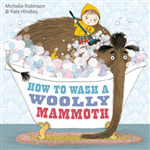 If you've ever wondered how to wash a woolly mammoth just follow these step by step instructions. A big owl and a small owl sit up in a tree. 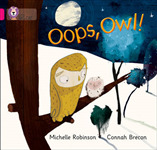 In trying to show each other how big they are, the small owl is accidentally knocked out of the tree.  Can the big owl save him? 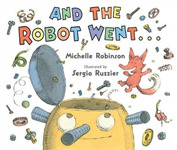 This quirkily illustrated story is written by Michelle Robinson. "Goodnight fire truck, Goodnight train. Goodnight bus and even bigger... Best of all, say goodnight digger!" A little boy says goodnight to all his toys, but who is the favourite? Why, it's Digger of course. When Nugget's long-lost-cousin Franz turns up, all isn't quite as it seems. There's definitely something fishy - or foxy - about this chicken. This is Nugget's chance to save the day, because sometimes the bravest hero of all is just a little chicken.